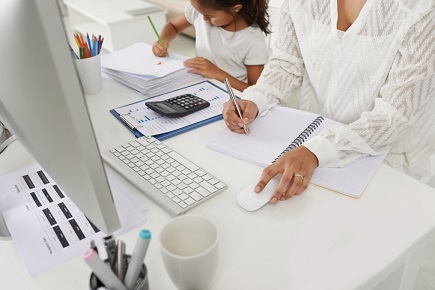 Are mothers still penalized in business? Returning to work after starting a family poses greater financial risks for women than men, according to research published this year. Insuring Women’s Futures, a new report produced by the UK’s Chartered Insurance Institute’s 'Insuring Futures’ initiative, says there is an “overwhelming shortfall in British women’s financial resilience”. Women’s financial wellbeing is threatened by a number of issues, but motherhood is one of six key “moments” in life that significantly impact a woman’s financial future, says the report. The initiative’s director, Helen White, told Wealth Professional that women, who are typically paid less than men, carry a heavier burden. She said: “The challenge we face is that women are still expected to do the vast majority of caring for children, domestic work, and caring for elderly relatives”, which means they choose to go part time more often than men. The report calls this the ‘motherhood and caring penalty’. Says the report: “By stopping work and putting careers on hold women are financially dependent on partners, with potential financial risk exposure should their relationships break up and if women are not involved in financial decisions. In 2016, men’s gross full time work attracted pay that was 9.4% higher than women’s; but since more women than men are in part time work, this gender pay gap increases to 18.1%. The situation is similarly unequal for senior women as for those less senior, according to this year’s Lean-In and McKinsey’s Women in the Workplace report, which focuses on the US corporate workplace. Authors found that senior level women have far greater household responsibilities than senior level men (26% versus 5%, respectively), and that those women are twice as likely to have a partner who works full-time, which means they are less likely to have someone at home who is focused primarily on household and childcare. The report found that lesbian couples share household and caring responsibilities the most equitably.